Years ago, Google publicly displayed one of their core metrics for rating sites, the PageRank of the site. PageRank – named after Larry Page, one of the Google founders – was a numerical indication of the value of a site. Since it was a public, authoritative metric, it stands to reason that a large number of marketers and SEO professionals took to looking for ways to shape, sculpt, spoof, manipulate, or otherwise alter the PageRank of a site. Despite being a simple numerical indicator, there was actually a huge amount of math and science behind PageRank. To get an idea, just scroll through the Wikipedia page; those formulas aren’t simple algebra, after all. Back around 2011 or so, Google started making fewer and fewer updates to visible, public PageRank, mostly to combat the number of people who focused too much on that one metric and not enough on the actual value of the content. After the wait grew to over a year, the official announcement came. In October of 2014, Matt Cutts announced that there would be no future updates to visible PageRank. Google still uses PageRank internally, of course. It’s too valuable and too foundational to their algorithm not to use. However, it’s no longer visible or useful to modern marketers. Anyone who promotes getting you links from sites with high PR, anyone who publicly brags about their PR, and anyone using the Google toolbar to browse the PR of various websites is operating on old information and should not be trusted. Anyone who hasn’t paid enough attention to the foundational aspects of their business in three years or more is someone you don’t want to work with. 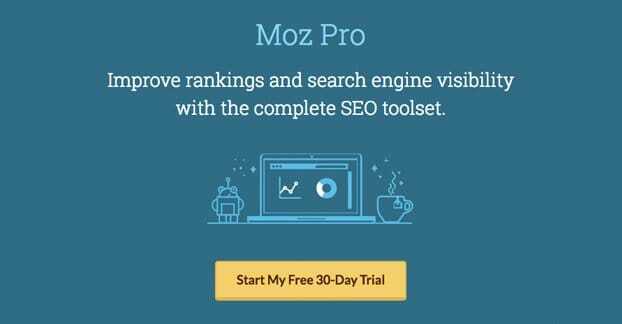 Moz, formerly SEOMoz, as I’m sure you’re aware, is one of the largest SEO and analytics companies in the world today. They have no direct association with Google, but they – and their customers – keenly felt the loss of visible PageRank. Moz set about making a replacement metric for PageRank. Okay, well, that’s not strictly true. Moz had their metrics before the death of PageRank, they simply put extra focus into them to make sure they were as accurate and as broadly applicable as possible, to be best positioned for taking the place of the formerly visible Google metric. Domain Authority is the key metric Moz has that is most comparable to the old PageRank. It’s a metric that considers a variety of different sub-metrics, like number of links, number of linking domains, other Moz metrics like MozRank and MozTrust, and more. It compiles and analyzes all of these to create a single numerical score, ranging from 0 to 100, with 100 being the best. The score is logarithmic, meaning it’s not very hard to get from zero to 10, it’s harder to get from 20 to 30, and it’s incredibly hard to get from 70 to 80. There are very few sites with a DA of 100, and they tend to be sites like Google themselves. Domain Authority is a site-wide metric, so your DA will be the same from page to page. For a page-level authority metric, you want Page Authority, a similar metric also provided by Moz. This one isn’t named after Larry Page, though. Domain Authority is not an absolute ranking that considers all SEO factors. It is a heavily link-focused and trust-focused metric, so two sites with the same DA might have very different levels of value. It is useful to know, but not necessarily a pure judge of the quality of a site. There are two ways to track Domain Authority for your own use. One is for your own historical tracking; comparing your DA yesterday to your DA today, comparing it to a week ago, a month ago, and a year ago, all to show you how you have progressed. The other is comparative; looking at your DA and the DA of your strongest competitor can give you an indication of where you stand, relatively speaking, on the topic of link profiles. One thing that is worth mentioning before we even get into tracking methods is that Domain Authority is constantly being changed and improved. Moz adds sites and links to their index, removes other sites, and changes the influence of various factors that contribute to the metric as a whole. What this means is that Domain Authority can vary from week to week, month to month, in a way that doesn’t necessarily make historical data worthwhile. You might experience a DA drop of several points when nothing at all has changed on your end. You didn’t lose value or lose links; the total Domain Authority metric changed, and when this happens, generally most everyone experiences a drop. In fact, Moz even has a disclaimer on their “What is Domain Authority” page I linked above. “Since they’re scaled on a 100-point system, after each update, the recalculations mean that Authority score of a given page/site could go down even if that page/site has improved their link quantity and quality.” This is why Moz recommends using it as a comparative metric; your historical data might show downward trends that don’t actually correlate to a loss of value. That said, if you still want to track how your DA is growing over time, you’re free to do so. When your DA is lower – under 60 or so – your changes are more likely to result in growth, anyway. It’s generally only when your DA is higher and when changes are in the 1-5 point range that fluctuations will show little correlation to reality. 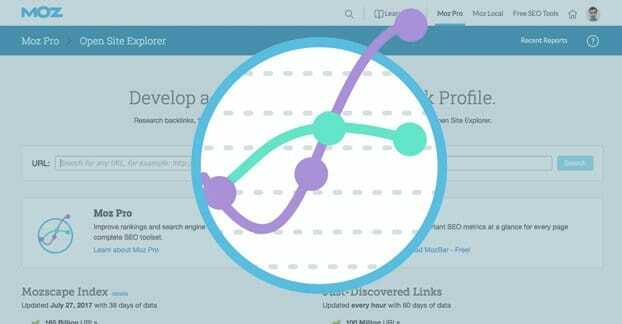 There are actually a lot of different options you can use to track your Domain Authority over time. Method 1 is simple but somewhat labor intensive. Simply use the Moz Open Site Explorer to scan your site and record the date and your current Domain Authority in whatever format you want. It’s free to use, but you will need to manually go in and record the data when you want it, because you have no API access and cannot necessarily rely on a data scraper. The primary drawbacks to this method are obvious. The first is the time and effort involved. You need to manually go in and harvest your data, and any time you miss it in your schedule is a data point you don’t have. You can’t go back and fetch it, either. The second drawback is that you don’t get more historical data. Your data only goes back to when you started recording it. If you wanted older data, you’re out of luck. Method 2 is the one Moz would likely recommend, and that’s paying for a Moz Pro membership. 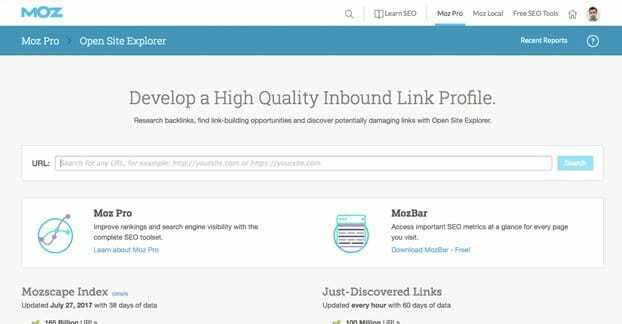 Moz Pro gets you a lot of access to a lot of tools, keyword tracking, page crawling, and more. One of those features is historical tracked Domain Authority – as well as Page Authority and other metrics – for your site. This is, of course, assuming your site is and has been in their index. Moz is not Google; they don’t have the search engine spiders crawling billions of websites every day. Their index is slower to update and is smaller, a “mere” 165 billion URLs compared to Google’s stated 130+ trillion webpages. Moz tends to update links every hour, but their index as a whole only updates about once a month. The downside here is that you’re paying for a lot of features you might not want to use. If all you want is metric tracking, it’s very much overkill; the cheapest Moz Pro plan is $100 per month, after all. Method 3 is to use one of several third party programs. In this case, the one I’m mentioning is RankWyz. RankWyz is, well, something of a gray/black hat tool, since they allow you to set up, manage, and monitor private blog networks. PBNs are heavily frowned upon by Google and are a risky strategy for site growth. Again, like Moz Pro, this is a large tool with a lot of different features, most of which you don’t need or care about if all you want is tracking. Unfortunately, though they do offer a pared-down free version, the cheapest version you can get that includes DA monitoring is the Pro 15,000 package, which is just under $100 per month. 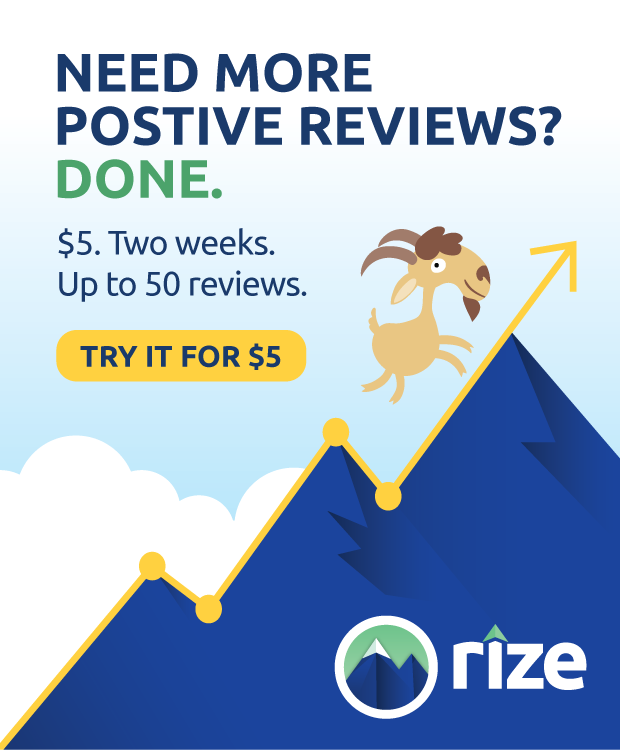 At that price, unless you’re investing in a PBN, you might as well go with Moz Pro. Method 4 is to use a different third party tool, this time Cyfe. Cyfe is not an automation or exploitation tool; rather, it’s simply a very good analytics dashboard. They offer you a ton of different types of information, for single or multiple websites, on a customizable dashboard. You can set up custom data sources, view realtime reports for data sources that support it, export data, and see historical data. They have widgets to integrate data from everything from SalesForce, AdWords, and Moz to Alexa, Instagram, and Klout. The down side here is that the free version of Cyfe is limited. You do get DA in your data feeds, but it’s limited to the last 30 days. If you want even more historical data than “a month ago,” you need to upgrade to premium. That said, however, it’s the cheapest option thus far; only $19 per month for unlimited everything. 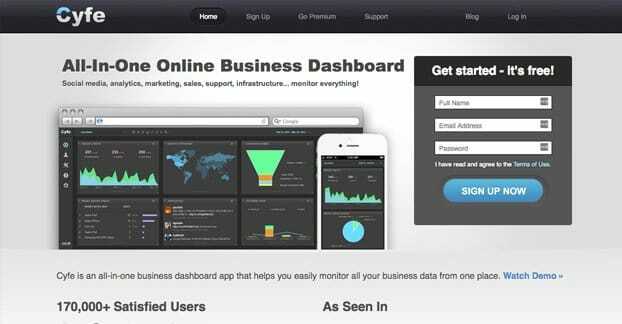 Method 5 is very similar to Cyfe; it’s a cloud-based monitoring dashboard web app called Klipfolio. Klipfolio isn’t quite as slick as Cyfe, and it requires a bit more DIY elbow grease to set up the integrations you want, but it can still provide great data on your marketing presence. They integrate with hundreds of apps, but the important one in this case is Moz. With this particular app, you have to build a dashboard, but there are two prebuilt Moz dashboards available, one of them created by Rand Fishkin himself. Alternatively, you can simply klip the individual metrics and build your own dashboard. You can even build custom API queries if you want, but that requires access to the Moz API, which I’ll discuss next. The pricing for Klipfolio depends on how many different users and how many different dashboards you want. The smallest option is $19 per month and works for five users and five dashboards. If all you want is one DA metric on one dashboard, that’s plenty. Dashboards can also include several metrics at once, so it’s more flexible than you might think. Unfortunately, if you want to be able to download reports, embed reports, or manage client data, you need at minimum the $39 per month plan that expands your functionality. You also can’t customize themes or use a whitelabel version of the software without add-ons, which are quite expensive. White-label expansion is nearly $500 per month, for example. Method 6, the final one I’ll discuss here, is to simply build your own solution. This is like the “make a custom API call” method through Klipfolio, except you have more flexibility because you can code literally anything you want. As long as you can code, or you can hire a developer who can code for you, you can create whatever sort of analytics, monitoring, or reporting app you want. The primary downside to this option is simply the need for API access. In order to pull the data you want from Moz, you need to access their API, which is a product in and of itself. They charge based on the number of rows of data you want per month, and the speed of making requests. Free, limited to one request every ten seconds, and up to 25K rows per month. Entry level, with 120K rows per month, 200 requests per second, for $250 per month. Low volume, with 500K rows per month, 200 requests per second, for $500 per month. Mid volume, with 4 million rows per month, 200 requests per second, for $2,000 per month. Max volume, with 40 million rows per month, 200 requests per second, for $10,000 per month. All plans can be expanded in a more granular basis, though, at a specific rate for an additional 10,000 rows. The rate is cheaper the higher tier your plan is, ranging from $20 per 10K to $3.50 per 10K. Obviously, this is not the cheapest possible option, but it does offer one primary benefit; flexibility. With the ability to create any app you want with a veritable firehose of data, you could create something great. Or you could simply make a one-note DA check-and-record app with the free API access and call it good. Up to you, really.